13 Groovy BEN COOPER Costumes: 2017 Edition! Home » TOP 13 LISTS » 13 Groovy BEN COOPER Costumes: 2017 Edition! Halloween may be candy corn and scary sound-effects records and looking over your shoulder to make sure the big kids don’t steal your sweets. 1. A classic Ben Cooper design, with a picture of the character on the chest. 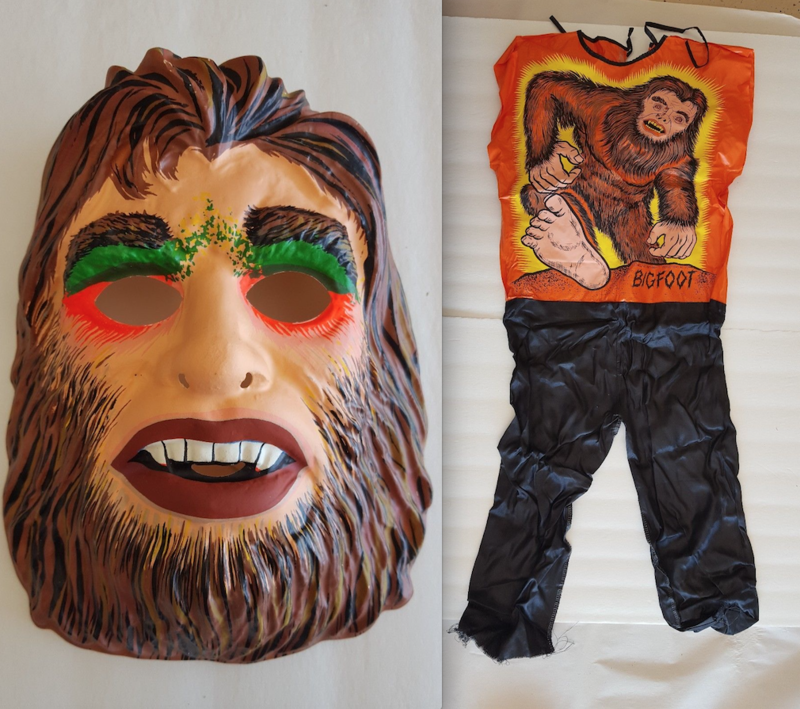 But here the company doubles down by emphasizing Bigfoot’s BIG FOOT. 2. Pennywhistle’s got nothing on this guy. Seriously, WTF. It’s not even the mask. It’s that nightmare-fuel chest design. I actually used to know a guy who looked like him. Glad that’s over. 3. 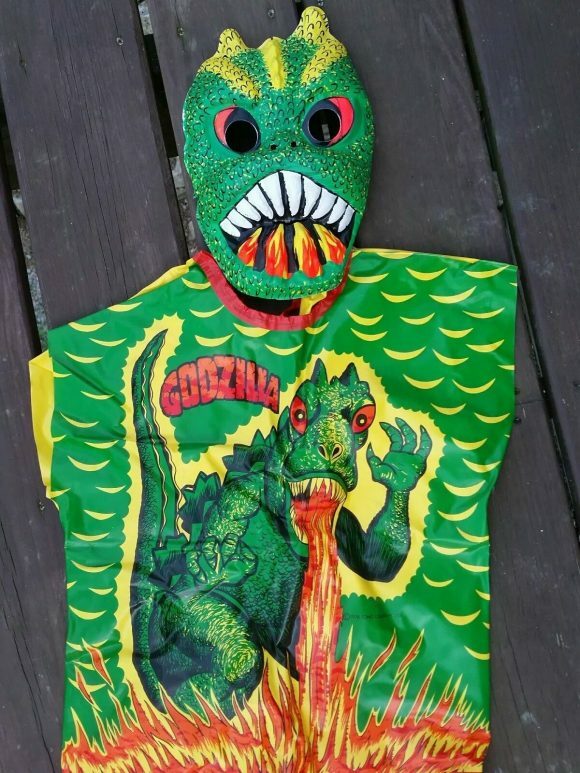 Hold on here: Did Godzilla burn his lower teeth? 4. I have to have Batman in any round-up. I think it’s in the bylaws or something. I dig the open sleeves, though. 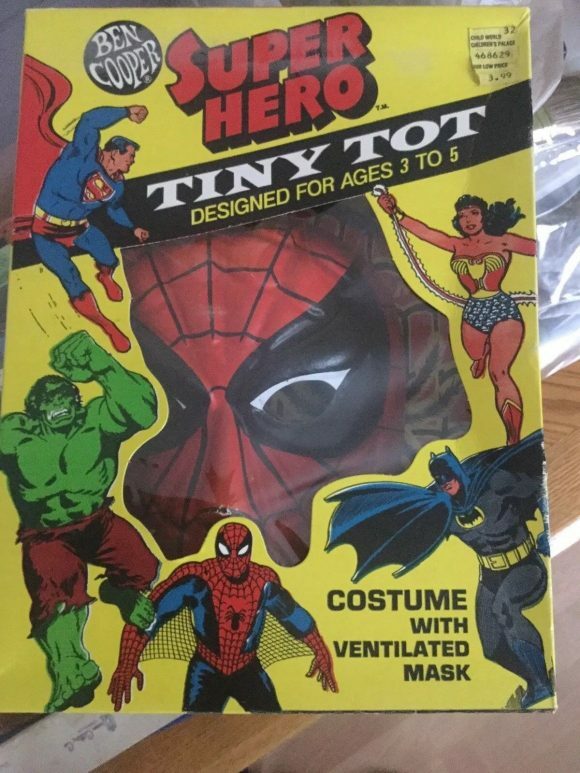 Perfect for the over-muscled 7-year-old. 5. 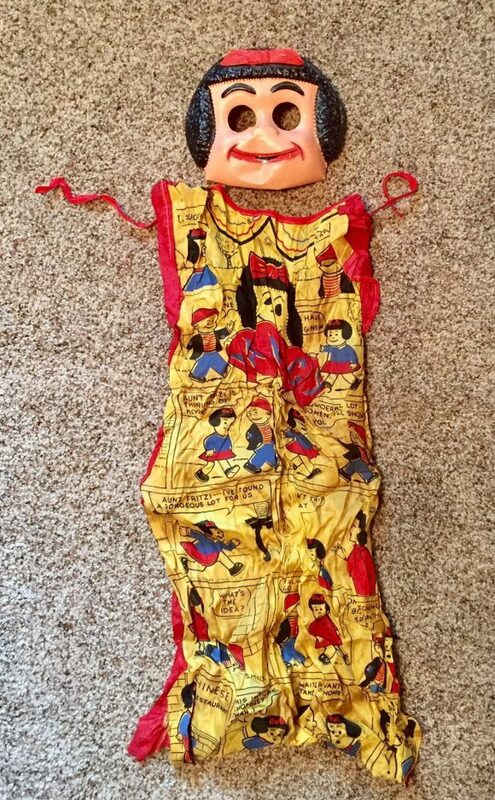 Y’know, this isn’t so much a Nancy costume as it is a Nancy Comic Strip costume, so I give ol’ Ben Cooper points for (presumably) unintentional cleverness. 6. 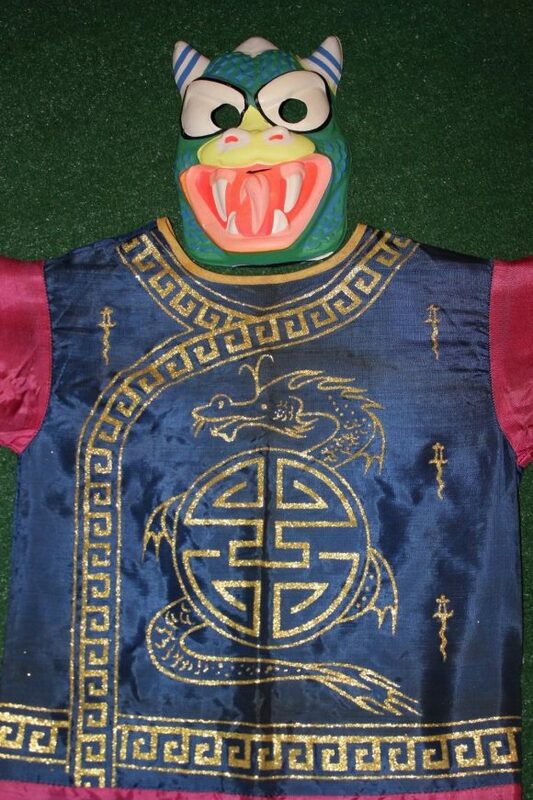 This one’s billed on eBay as a Karate Dragon. Which… I just can’t. But I really dig that tunic. Like, A LOT. 7. 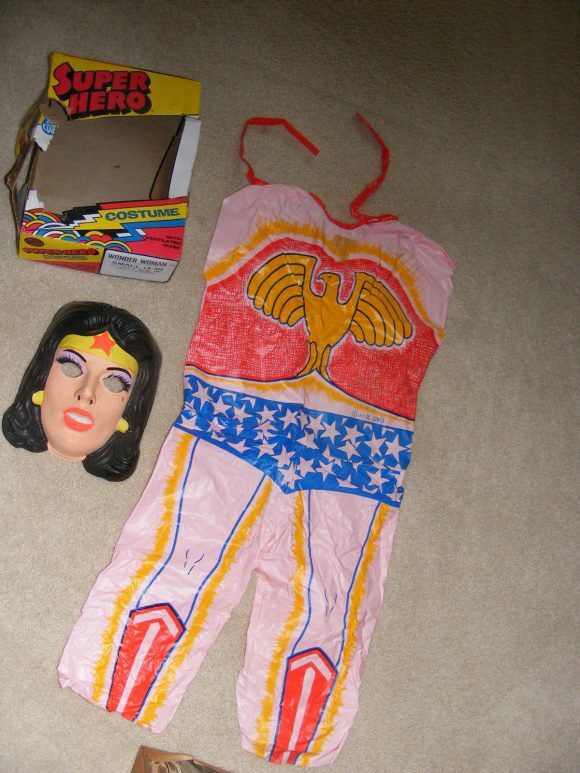 This had to be the last costume left at Woolworth’s. Had to be. 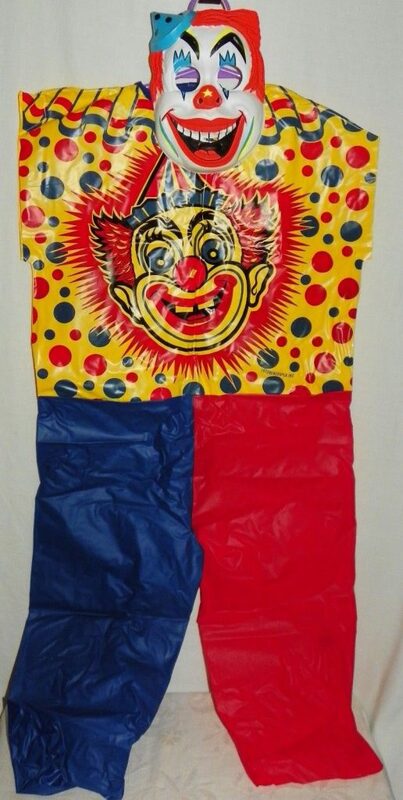 Because I cannot possibly imagine 6-year-old Jimmy begging Mom to go let him go out for Halloween as Corporate Pizza’s Least Popular Mascot. 9. This one’s for my sister Paula. 10. 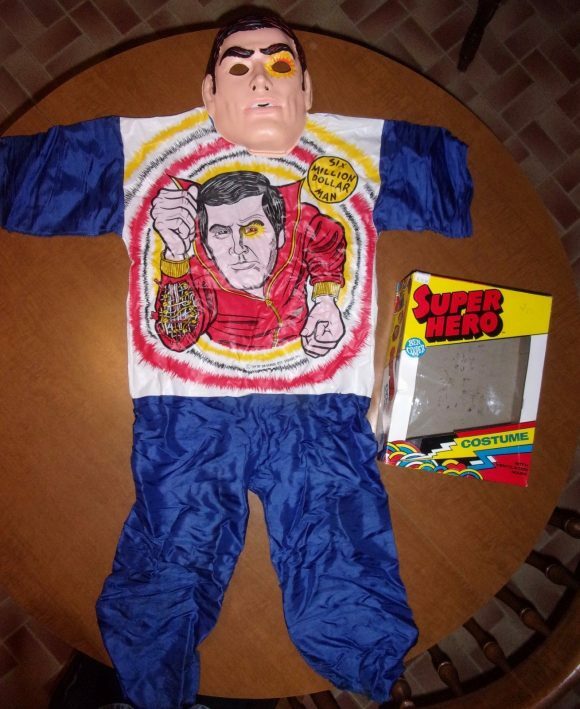 Little Known Fact: I didn’t care for the Six Million Dollar Man. But here’s what I like: The attention to detail to give the mask a “bionic eye” effect — while completely ignoring the rest of the outfit’s, shall we say, off-model approach. Guess a red jumpsuit was out of the question. Hey, at least you get a picture of it! 11. This is epic. 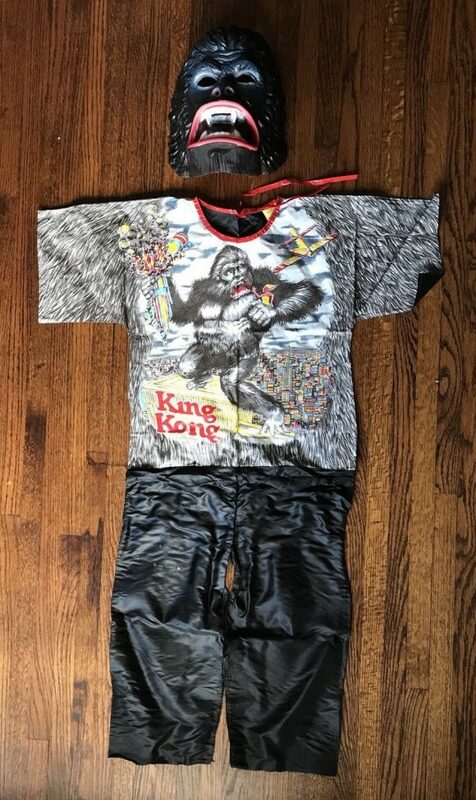 I guess the designers didn’t want any confusion between Kong and a garden variety gorilla — so they went full-on Ben Cooper by ripping off the classic 1976 movie poster and slapping it on the front. Brilliant in every way. 12. 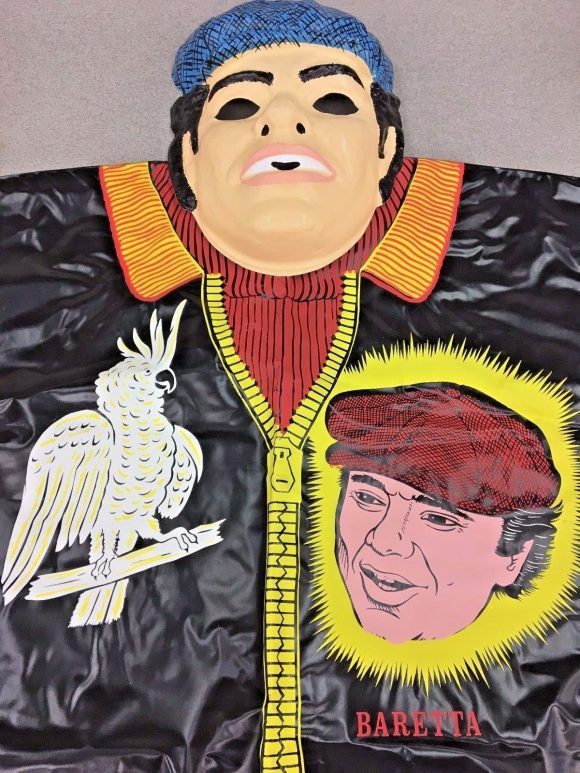 I didn’t know there were kids who wanted to be Baretta for Halloween. I really didn’t. Huge points for including Fred the cockatoo. Huger points for the big face of Robert Blake, years before he was acquitted on charges of murdering his second wife. And that’s the name of that tune. 13. This obviously comes from an alternate universe: No giant Mark Hamill face. No STAR WARS screaming at you. 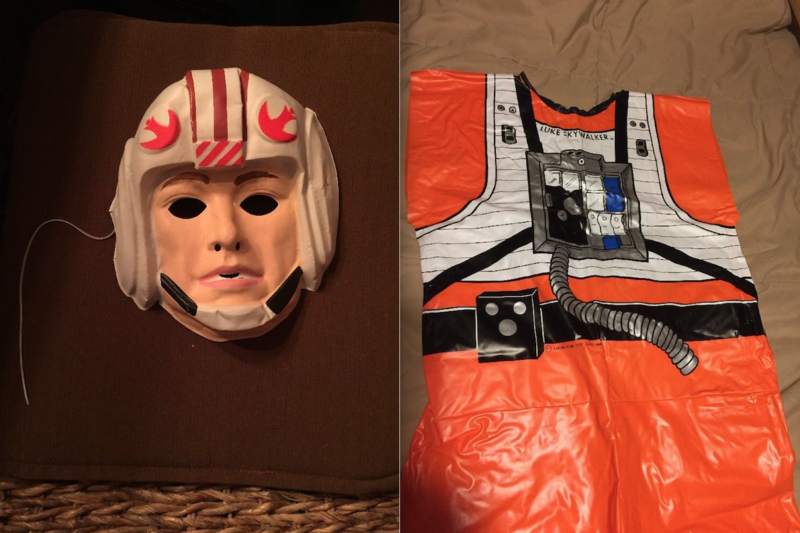 Just the front of Luke Skywalker’s X-Wing pilot suit — though the company couldn’t resist adding his name on there. So be it. This thing is gorgeous. 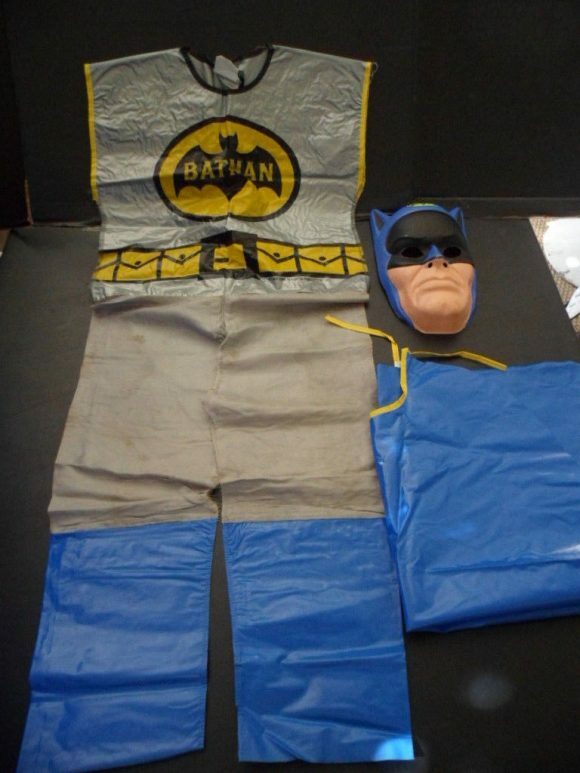 I’ve worked in licensed product development for over 25 years and, wow, I don’t even know where to begin… There’s no way most of those costumes (or packaging) would get licensor approval these days. That Batman is still a trip. 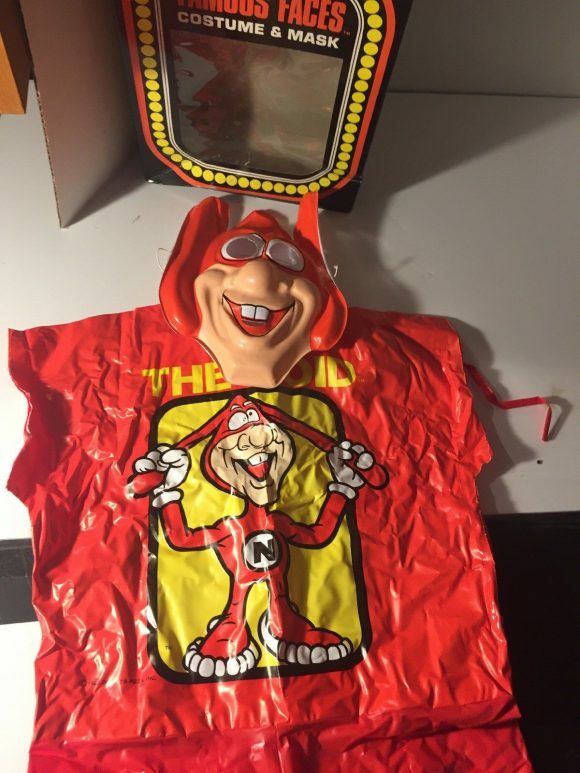 I remember cutting the jaw off of mine because I just wanted the mask. Kids have no idea how good they’ve got it today. Boy, John Paul, you’re not kidding. But in retrospect, it’s hard not to love Ben Cooper. 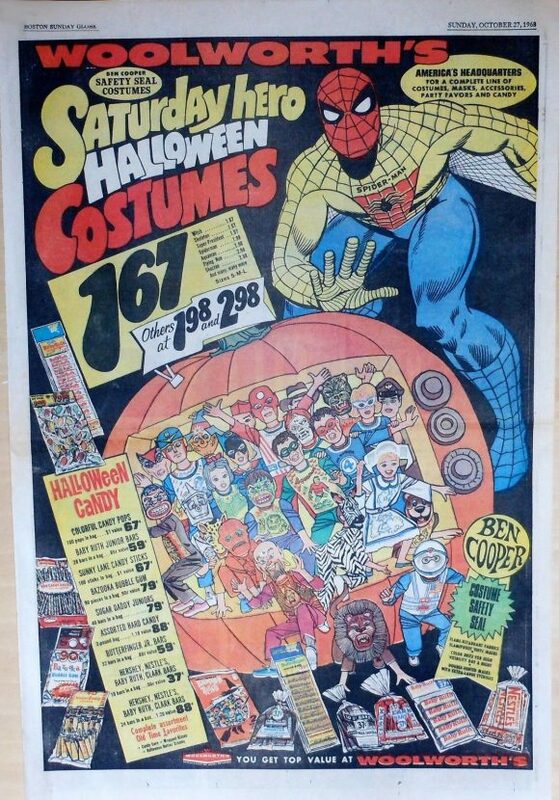 To see loads of 1920s to 1970s Halloween Costumes, check out my book, “Halloween – Costumes And Other Treats”, published by Schiffer and available from your favorite bookseller.